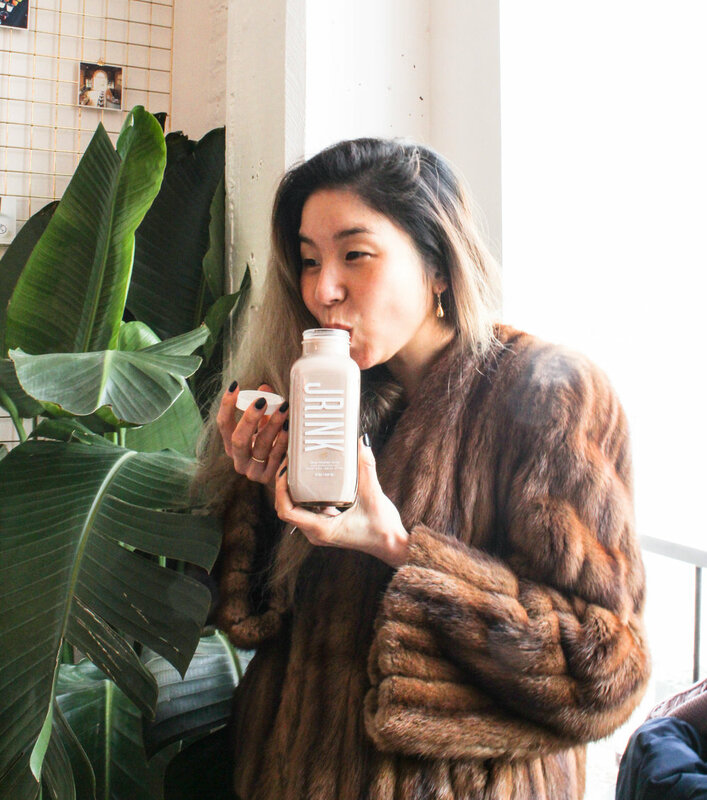 Meet Shizu Okusa, Co-Founder and CEO of JRINK, DC's favorite (and much needed) juice cleanse. Have you ever struggled to keep up with a fulfilling meal plan while balancing a full work schedule? Do you ever find yourself so busy that a skipped meal goes unnoticed? Do you sometimes wish you could hit the reset button on your healthy eating routine? Welcome to the lady boss life, where we often make sacrifices for our jobs, but too often sacrifice self care. 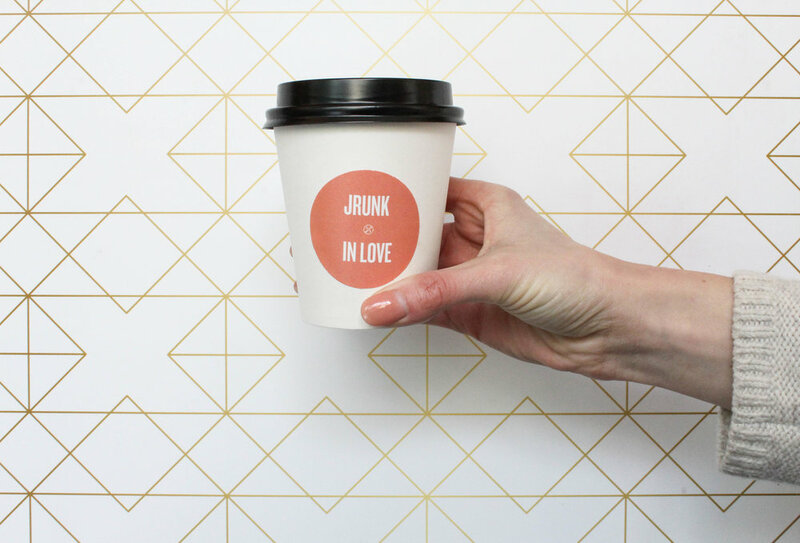 Enter JRINK, a magical you-can-do-it juice that was made just for ladies like you! From the extra green Fuel Me Up to the bright yellow apple, lemon, ginger and turmeric Clean Me Up and pretty in pink Pick Me Up made with beets, each flavor tastes just as good as it looks. After more than two years working non-stop, Shizu Okusa felt run down by her Wall Street job. She knew she needed to make a change to her schedule and give her body a reboot. She began making her own fresh-pressed juices to fuel her daily life, and thus JRINK was born. Read on to learn more about the maker of DC's most popular liquid fuel! 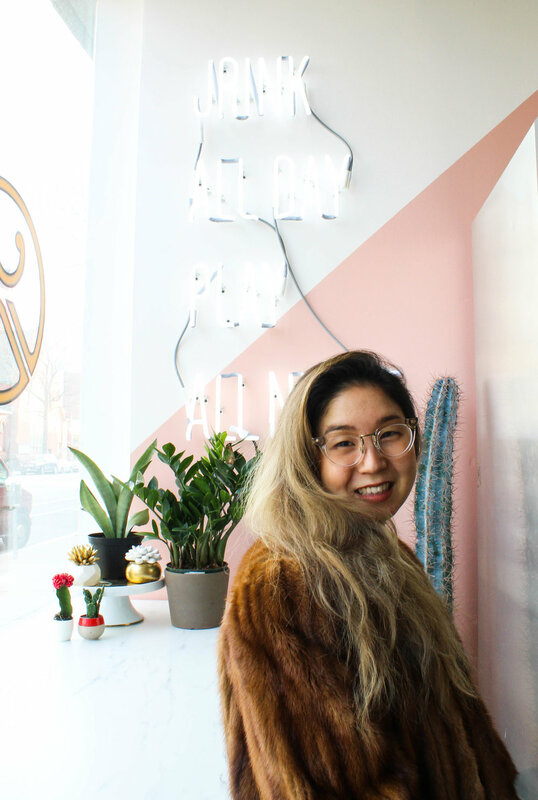 JRINK is a women-owned online apothecary of better-for-you solutions for career-driven individuals, especially those looking to stay healthy while still being productive (yup, we want to make it easy for you to have it all!). We believe in long-term solutions not quick fixes, to fix ailments like stress, bad sleep, and diets ridden with preservatives and sugar -- all things driven by our busier lifestyles. We started about 4 years ago, are 100% women owned, and are super passionate about bringing healthier foods to our lives, in a fun, accessible and delicious way. We're based in the DC area with 7 stores, including one inside Whole Foods, and also offer online subscriptions vis-a-vis on-demand scheduled home delivery. Oh boy. Looong story! Back then it made 0 sense but looking back, it all makes sense. I started my career on the trading floor of Goldman Sachs, waking p at 4am every day to go to work, and not going home until 9 or 10pm that same night. I did this for over 2 years and my body broke down. I craved sunlight, needed major self care, and lost perspective of my own values. It was then that I quit my job, lived in Mozambique for a year to volunteer, and then Bali to become a yoga instructor. After a year plus of traveling, I decided to move to DC to join the World Bank...then started juicing on the side as a ?. I quickly realized that there were so many other people like me, struggling to find sanity and balance in our busy lifestyles and I was determined to offer my personal solution to others. All else is history! 3. What brings you the most joy when creating your juices? Honestly, it's the color and the entirety of what's associated in the making of our product. All the colors of organic produce make me so happy, because it's vibrant, pure, and there's nothing fake about it. Because our style of juicing -- cold-pressing -- requires so much physical labor (washing, cutting, pressing, bottling, capping, labeling, etc.) and it's HEAV-Y, it also oddly feels productive. I feel so much of "work" nowadays is digital and behind our laptop, with little interaction with real life people, our line of work and production is very gratifying. It feels like we're providing real jobs, real food, and real impact. And while we're primarily in just juice right now, we're so excited for our new products coming out -- stay tuned. I went to Trader Joe's today on a Monday at 1pm? Haha but no, I think the best part of entrepreneurship is that you're never living on the side lines and every day is a day...there's no "Sunday night blues" but there's also no "vacation time". That's perfect for me, as I don't like feeling scheduled and like to have control over my own life, not someone over me. I make sure that our team gets the same perks over their schedule and how they want to lead their lives. The most difficult part would be the highs and lows that come with entrepreneurship. People talk a lot about the extremities of this lifestyle and it's so true...you can feel on top of the world with winning a new contract or deal, and then all of a sudden worry that you may not make payroll in six months because of a day's worth of low sales (ahem, it's a false belief). The other thing is being able to separate the business from ones own self -- that is really hard and I'm working on it now more than ever, in the best interests of both myself and JRINK. This is no longer "my baby" but an entity outside of myself and needs to be sustainable and live on longer and better than just my own doing -- this is a team effort! I stay motivated by journaling out my thoughts, and asking myself, "Can I do more? Am I at my max? What else can we do or what do I want to learn?" I actively work on not comparing myself against others because that is an endless battle and can make one act more out of fear vs love. I learned long ago that bringing down others, doesn't make anything better -- we truly are better off bringing up others. Personally, I'm really working on taking in hard feedback from others (our investors, advisors and customers)...learning to differentiate "this could be better" vs. "you could be better", for example. I'm currently on an Instagram sabbatical. It's helped a lot to give me peace of mind before bedtime and not compare how much I've gotten (or not gotten) done to others. I usually get home around 7pm, disconnect for an hour to cook, eat, call home, clean, and then connect back on email around 8/9pm, at which point I also turn off all the lights and light just a candle. If I'm having a hard time sleeping, I take some CBD ashwagandha oil or drink some turmeric tea, and then get some shut eye for 8 hours. 7. What’s one piece of advice you would give to other entrepreneurs in the food industry? Food can be a very gratifying journey, but equally one of hard physical labor, sweat, tears, and rapidly changing consumer and distribution trends. It's not a tech play so you're not looking for the big buck acquisition for exit. I think you have to really be in it for passion (but not blindly so), your customers, your product and live that lifestyle. For us, I can drink JRINK every day because it's truly in sync with my lifestyle. I also think knowing exactly what you want out of this from the outset is important because the day to day of food can sometimes be blinding and all of a sudden, it's 4 years later! Of course, things will always change but I think having some loose 1 year goals and 3-5 year goals will be really helpful and set you & the business up for success. 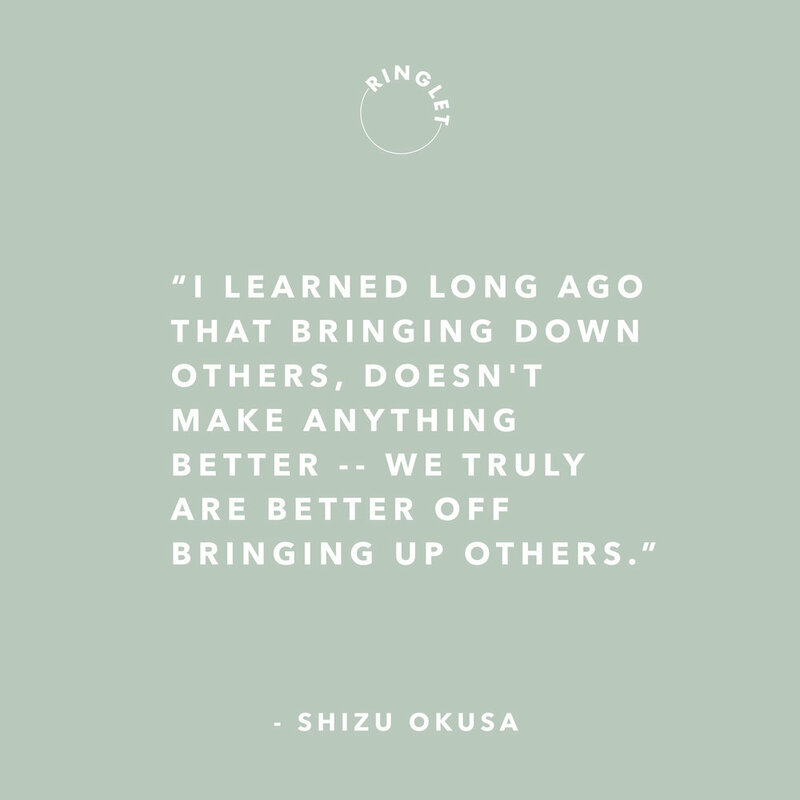 THANK YOU SHIZU FOR SHARING YOUR ADVISE! YOU CAN FOLLOW JRINK HERE.